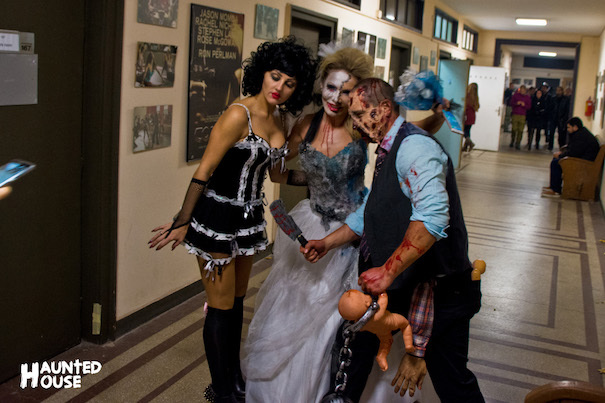 For the first time Nu Boyana opened doors to an exciting Halloween event for kids and adults. 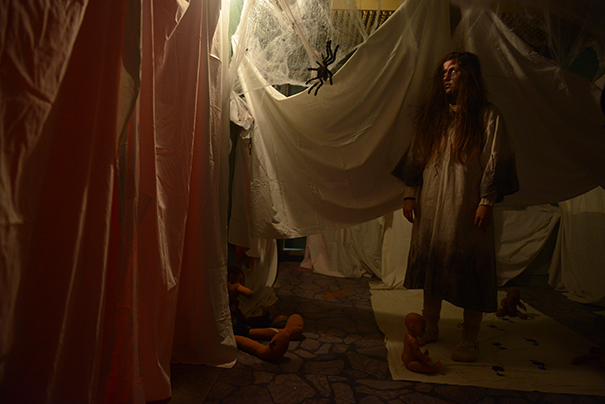 On Saturday, October 29th, part of the studios transformed into a Haunted House. The first of a kind scary maze in Bulgaria was built on one of the sets from our recent movie productions. 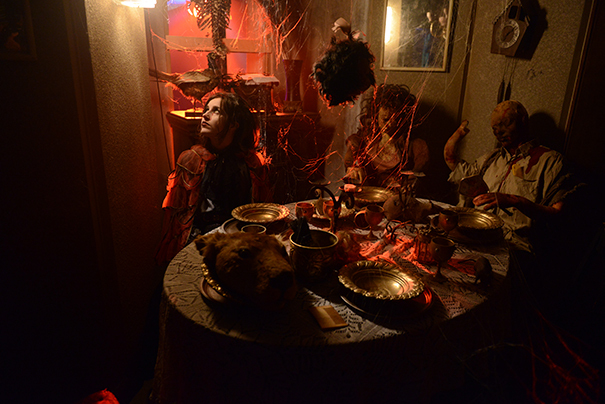 Dressed amazingly by our set decorators and using real film props, the Haunted House welcomed its visitors with enthralling sound and light effects. All day long kids and parents had fun at the studios. 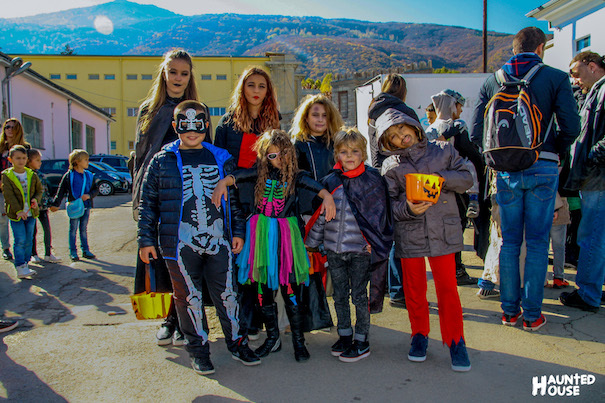 All kinds of characters flooded Nu Boyana as our Trick or Treat game started. 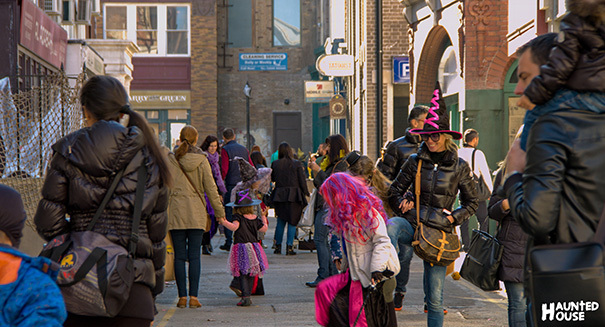 Bunches of young witches, walking skeletons and vampires rushed around the English city streets of our London set knocking door to door to get some sweets. The streets were filled with pumpkins and wrapped in spider webs as if London was bewitched for a day by a legion of small terrifying creatures. 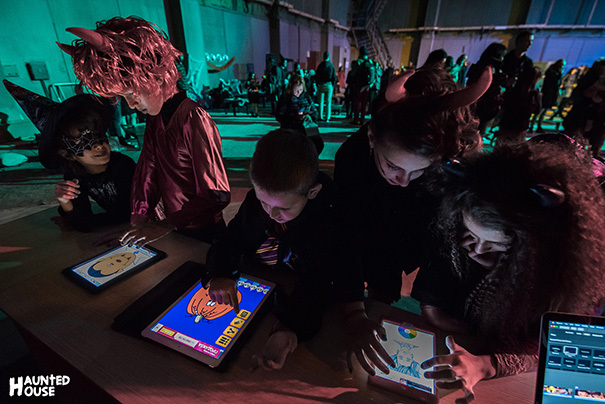 Nu Boyana Halloween party crew organized various workshops to entertain the kids at one of the sound stages. Our friends from Creative Center gave a chance to hundreds of kids to become filmmakers for a minute in their iPad workshop. We could also find a robot workshop, presented by Robopartans in which children were really interested. There were also several stands doing crafts, colouring books and playing themed games. Mandala Yoga did a special Acroyoga performance and sent us their Henna tattoo artist to draw the hands of our little heroes. The DJ and animators entertained kids and parents with the special party music. 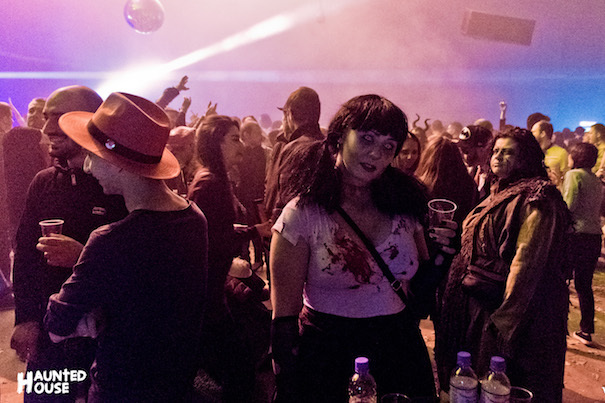 Pirates, zombies and wizards rocked the dance floor side by side in a magical atmosphere to the rhythm of the music. Guest dance formations Flava House and Wrong Generation Crew set the mood. In the evening adults took the baton and enjoyed the Haunted House horror maze. Inside an intense feeling of fear got the studio visitors as they faced the 15 spooky movie characters reenacted by professional actors.They were waiting around the corner to scare and entertain the guests. Diabolical young girls with teddy bears and zombi families stained with blood were some of the blood-freezing villains of the night. 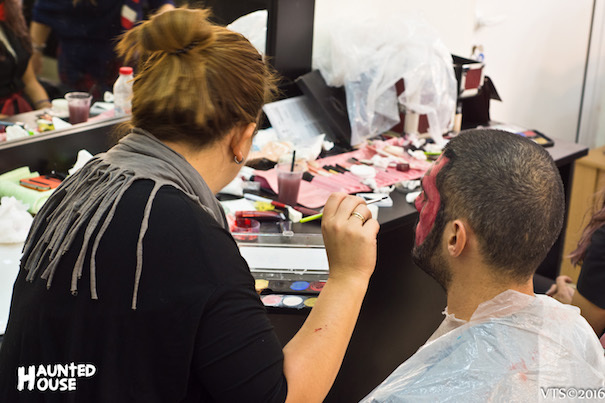 Guests could choose their costumes from our movie wardrobe and use the services of our professional makeup artists. Heroes from not so horror but definitely entertaining films crushed the party as movie magic was up and running. Characters as Maleficent, Mad Hatter and more contributed to add colour to such a magical day. The maze fun smoothly transitioned into a roaring party. 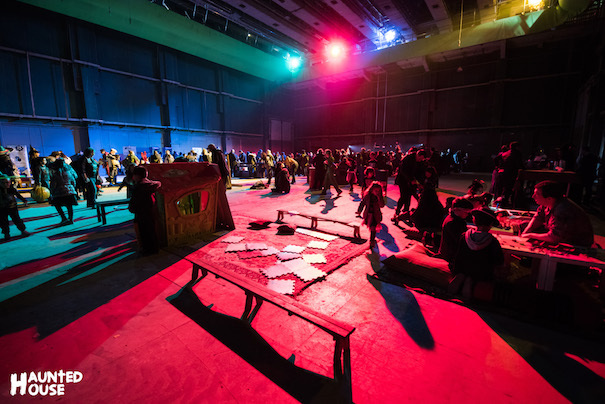 Cloaks, horns, tails and makeup abounded on the set. 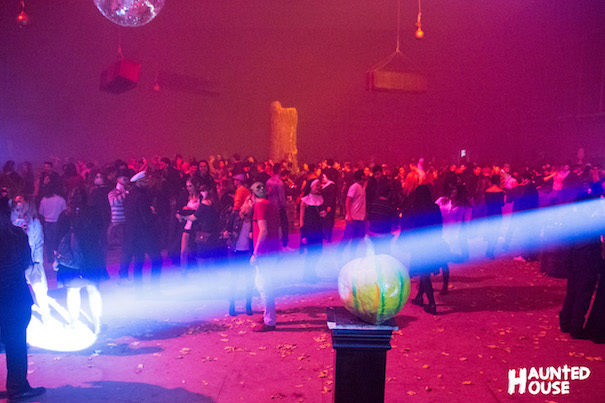 Colour lights, music and disco fog transformed the place in a kind of coven, where all sort of night creatures and spirits were gathered to enjoy and celebrate the most delightful night of the year. The studio is planning to make the Halloween celebration an annual event and we look forward to having you as our guests at the Nu Boyana Haunted House 2017! Follow us on Facebook, Twitter and Instagram for more news about Nu Boyana Events!